The Island of Losinj is part of the Cres-Lošinj island group, which constitutes the western segment of the Kvarner’s islands inside the Kvarner Bay. The Kvarner Bay together with that of Trieste forms the most inland point of the Mediterranean Sea. The islands of this archipelago form the natural bridge between Istria and Dalmatia. 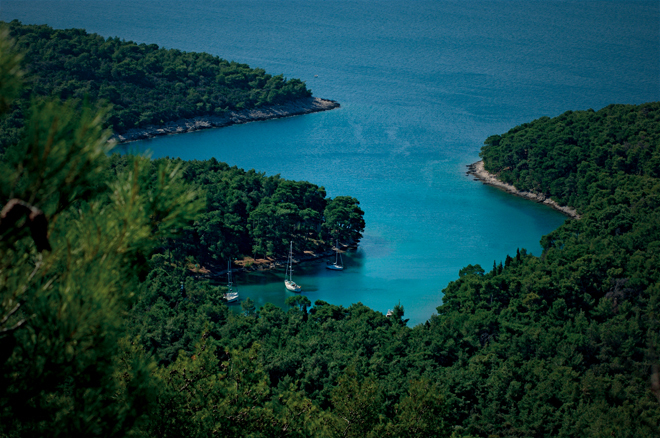 The biggest island of the archipelago is Lošinj. The archipelago of Lošinj comprises the Island of Lošinj and smaller islands: Unije, Ilovik, Susak, Vele Srakane, and a series of smaller uninhabited islands. Many, many years ago the island of Cres and Lošinj where one, only after the channel of Osor was excavated, probably during the Roman period, two islands emerged. Today a bridge connects the islands and in the geographically trafficable sense they form one unit. The city of Mali Lošinj, Positioned in the August Bay, the biggest closed bay of the island, with 6500 inhabitants, today is the biggest island city in the Adriatic. 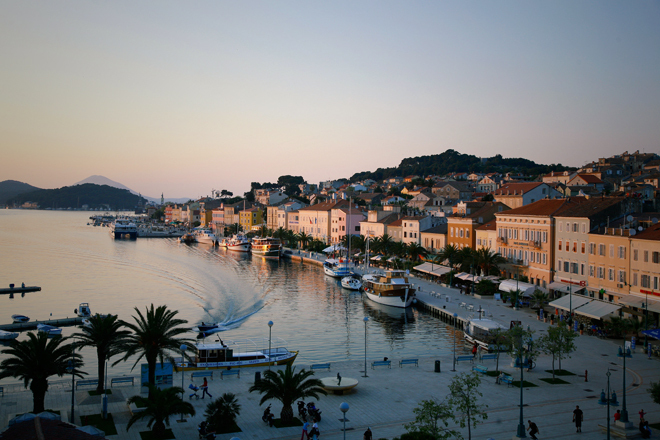 Mali Losinj dates back to the 12th century when twelve Croatian families settled in the eastern bay St. Martin. First Croatian settlers were farmers, later they also turned to fishing, sailing and shipbuilding, and with that the settlements moved towards the coast. The golden age for Mali Losinj was the end of the 19th century when thanks to seafaring the “small village” turned into a maritime town. Because of the big changes and the maritime crisis in the region, due to passing from sail boats to steam boats, it seemed that the destiny of this and similar towns was sealed. Upon discovering the health benefits of the climate, and growing of the new economic realm, tourism, a new page in the island’s history was open. Today Mali Losinj is one of the main tourist centres on the Adriatic known in all European tourism circles, which is proofed by an ever bigger number of guest that visit the island every year.